Transport Package: Any Special Requirement, We Will Pack as Request. 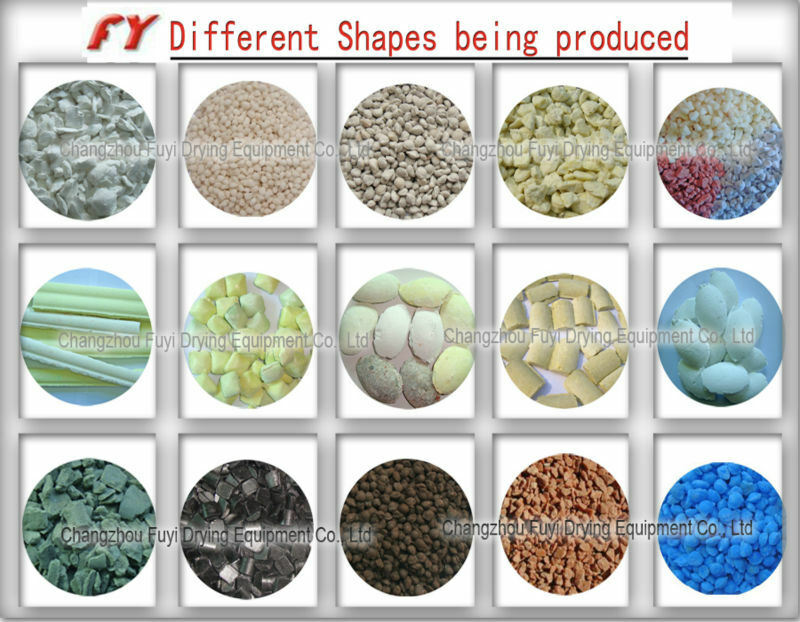 Â Â Â Â Â Â Â Â Our companyÂ Â offers aÂ wide range of machine sizes for high pressure granulating, which covers nearly all requirements of the clients.If your production is low,you can choose small type machine, if you have high production, you can choose one or more sets of machines according to your requirements.And certainly the process of granulating is dry. Â Â Â Â Â Â Raw materials are sent into hopper by quantitative feeder, compactorsÂ use the pair of roller with the hole roll,leaving certain gap and rotation with the same speed reversely. Shaft holders of one group of rolls are fixed, and the other one of group can slide to help the hydraulic cylinder press the rolls for abutting closely against each other. Many arc grooves with the same shape and size are arrayed regularly on the roll surface. In accordance with different compressing ratios of target materials, the wave though of arc groove of one roll shall be directed at that of one roll. When two rolls parallel each other horizontally, powder grained materials are, continuously and evenlyÂ fed in the gap between two rollsÂ by means of their gravities and through aÂ forced charger from above of two rolls. After entering the nip area, the materials are gradually nipped by the rolls.Â With continuous rotation of the rolls,Â the space that the materials occupy reduces gradually and is compressed step by step and reaches the maximum shaping pressure. 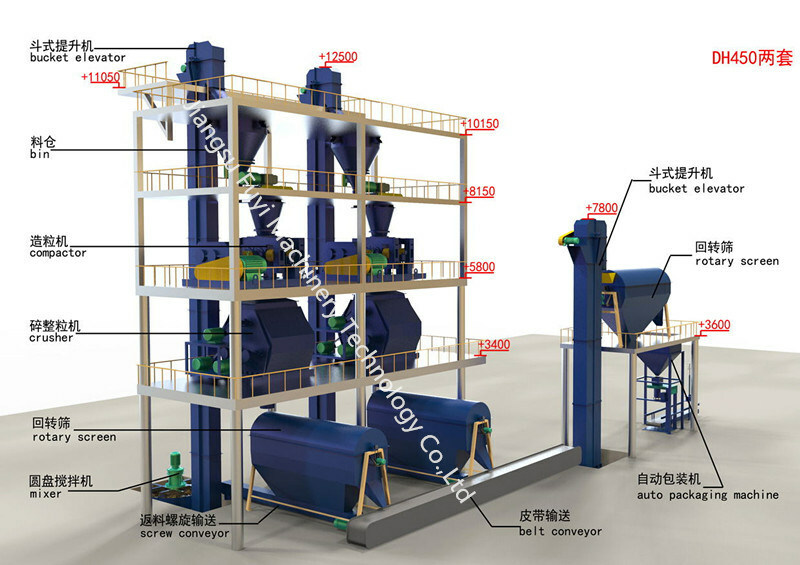 And then, as the pressure reduces gradually later, pressed blocks drop off the arc grooves of the rolls for recovered elasticity and gravity of the flaking machine and enter aÂ crushing device for crushing and thenÂ enter aÂ sieving device for sieving.Â At last, grained products are obtained.Â The powder materials and large particles which are substandard will return to bucket elevator and enter into the next process with new products. Equipped with mechanical vibrating feed hopper with automatic control and timing vibration. Adopts frequency conversion adjusting speed to ensure the feeding accuracy. It is composed of variable frequency motor, cone helix, stirring knife tooth and cone feeding hopper with visual glass window as well as feeding mouth assemblies and so on. Its function is to further achieve degassing and perform pressure feeding. 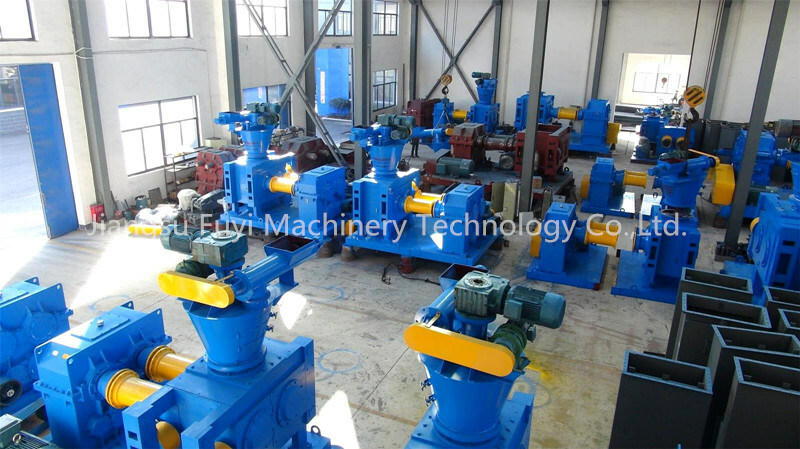 It is composed of left and right fixed bearing seats, frame structure, two alloy steel rollers, two hydraulic oil cylinders, electric automatic pump station as well as hard tooth surface dedicated reducer and main driving motor. It is composed of cutting-up box, cutting-up main shaft and special rotating cutting blades and the main shaft is driven at high speed by the motor to break the extrusion forming materials and dress into pellets. It is equipped with screen block-proof device and convenient to clean the screen. 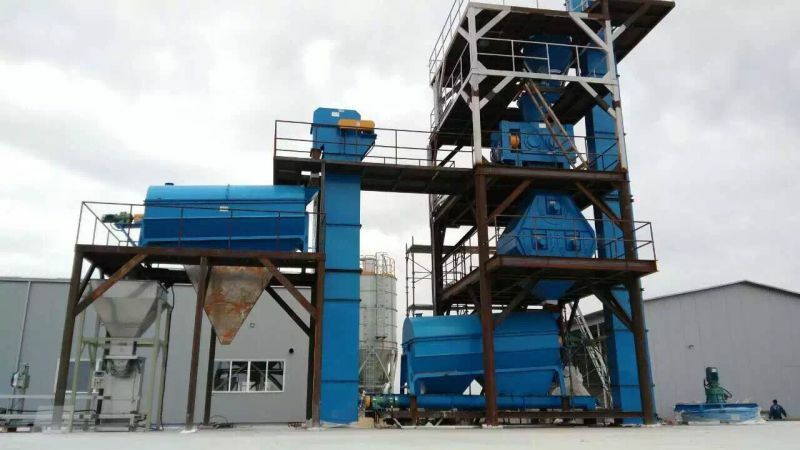 The broken pellet and powder materials from the breaking and dressing machine is divided into pellet product and recycling powder. It sends the unaccepted powder material returned from vibration classification screen to the feeding elevator. Upper and lower sprocket use assembly structure for the transportation of materials. Â Â Â Â Extensive experience and best quality production facilities guarantee aÂ smooth workflow from start to finish. Q:Do you provide the installation service after ordering your machines? A:As for the single machine, we provide the users instruction. 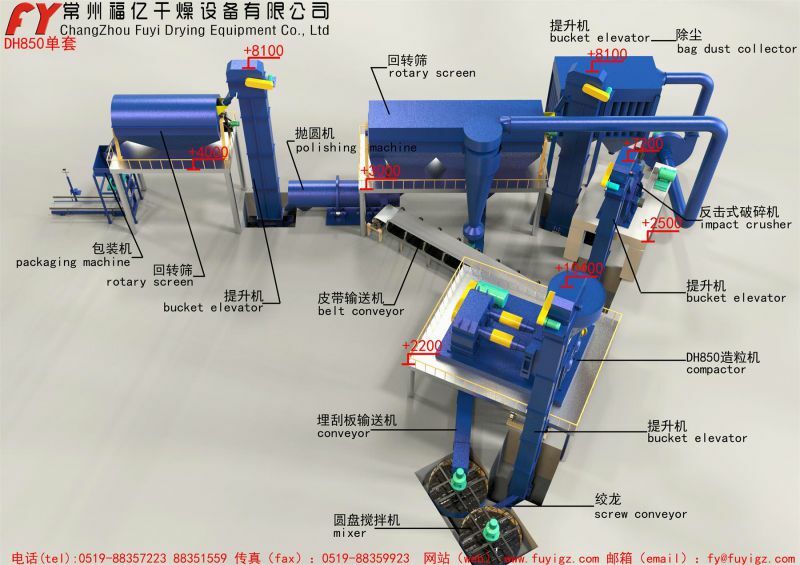 Â Â Â Â As for the production line,we provide the professional construction drawing,Â Â and arrangeÂ Â Â Â Â Â Â Â Â the engineer guide the user install the machines.Help the user train the skilled workers. Q:Can you be sure the wearing parts supply in future? A:We promise to provide the wearing parts to user in future. Q:How about the warranty of our machines? A:Our production line, and single machine's warranty is 1Â year. Q: Do you allow us to visit your factory for try some machines? 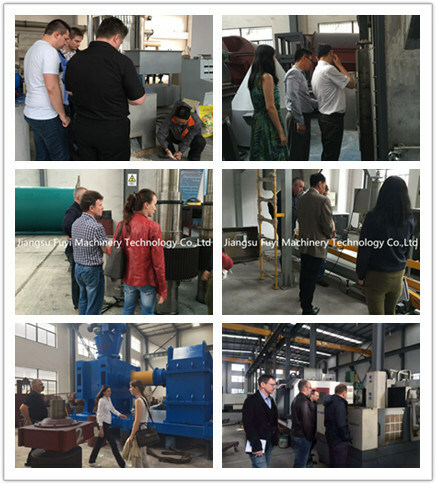 A:We warmly welcome the clients to come to our factory for trying each machine. Q:Can we see some fertilizer plant with your machine? A:We can take the customer to visite some fertilizer plants with our equipements.